Jeff was the lucky winner of the 50-50 and rocked the 4 way test in a way that only a former president can. Ron Stickley made a quick announcement on Sunni, a past youth exchange student in Calgary who is currently studying in Toronto. She is unable to return to Venezuela, so the club is trying to fund her stay education in Toronto. If you can donate, please do. Steve Gasser was called upon to explain the Sgt at Arms schedule. He has created a 6 month schedule. Its done in alphabetical order. If you are on the schedule and unable to attend, please try to organize a replacement and let Steve know via email who will be taking your place. Jeff Cuell was called upon to induct our newest member , Stella (whose name I don't dare to guess how to spell, sorry, Stella. I have stated before the hypocrisy of someone with my moniker not having the guts to guess at a name). 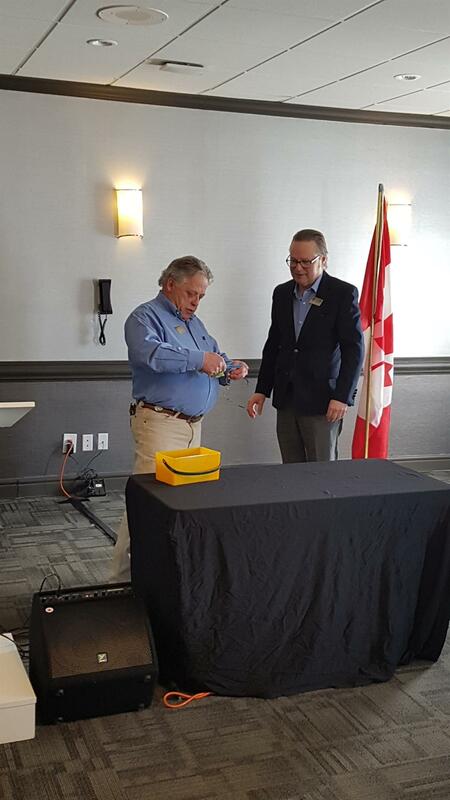 Brian reminded everyone of the district conference in May, and the RI conference in June in Toronto. Val Muschinski has resigned as director of club service 2. If there is anyone who can pick up this position, please contact Brian. Jeff introduced the guest speakers. Andrea Wall, project manager of the community hubs initiative. She spoke today to represent the community hubs initiative, a project working with United Way, the city of Calgary, and Rotary. They have finished their first year, and provided a to 10 list of the initiatives they've been working on over the past year. She described the project under way in Bowness. They have projects in Forest Lawn, Bowness, and Sunalta. wood shop, and electronics lab. The project has helped to make the washrooms accessible, provide laptops, and made it possible for different community grous can use the space without having to worry about cost. Tamara Baldwin, a city of Calgary social worker, spoke of the Community House project in Bowness. Bowness runs the gamut of socioeconomic diversity, from extreme poverty to great wealth. So the reason for a hub is to provide a welcome place for people to support each other, with resource centres and various support groups that provide a lot of services. They do a lot of basic need and referral service. They did have a mental health worker for a while, but it was more than one person could manage so she was moved to another project. The hub does a Christmas dinner annually that feeds 500 people by 100 volunteers. There is an indoor playground on site so kids can play together and parents can socialize. One of the fundamental concepts of the group is community input. it needs The Bowness Community Association has a second floor which they are looking to turn into a community living room, which will require an elevator which will need to be put in. Tamara is going to work on linking the various services that the community association offers. Another thing that the BCA wants to do is a community barbeque. They've done them in Forest Lawn, they will do one in Sunalta and another in Bowness. For this, Rotary will be providing some support. If you would like to get involved, let Rotary or the United Way know. Next Meeting: Monday, March 12th at The Village Park Inn, main floor. 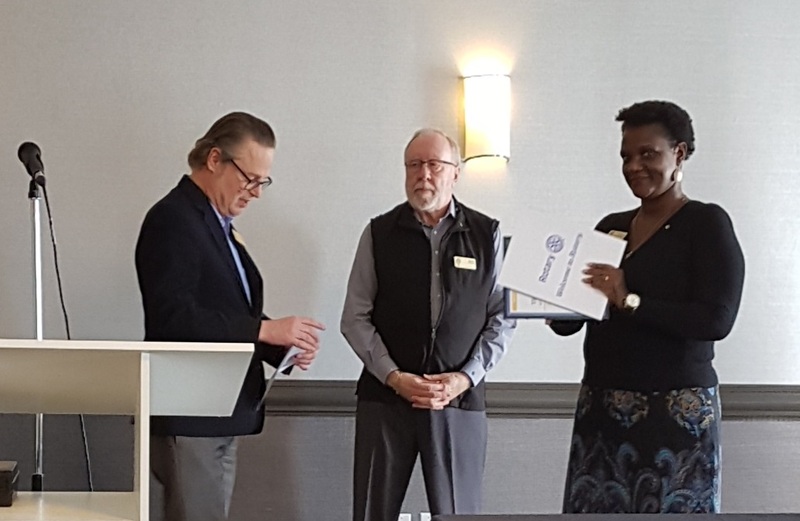 Welcome to the Rotary Club of Calgary North.